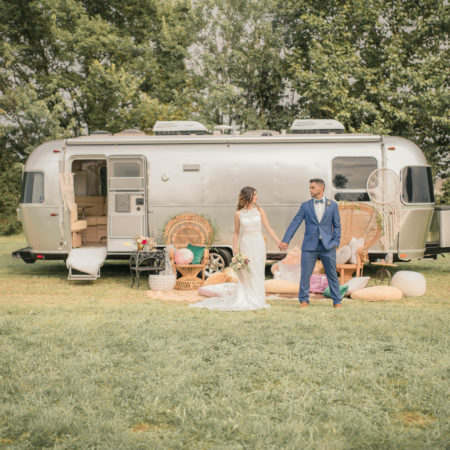 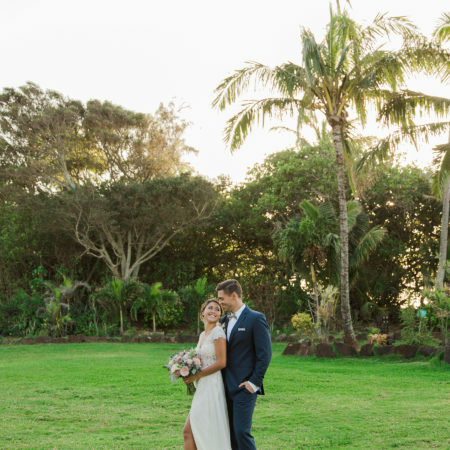 For those that are bold enough, adventurous enough, and most certainly open-minded enough, there is a whole other world to be had when it comes to styling your wedding. 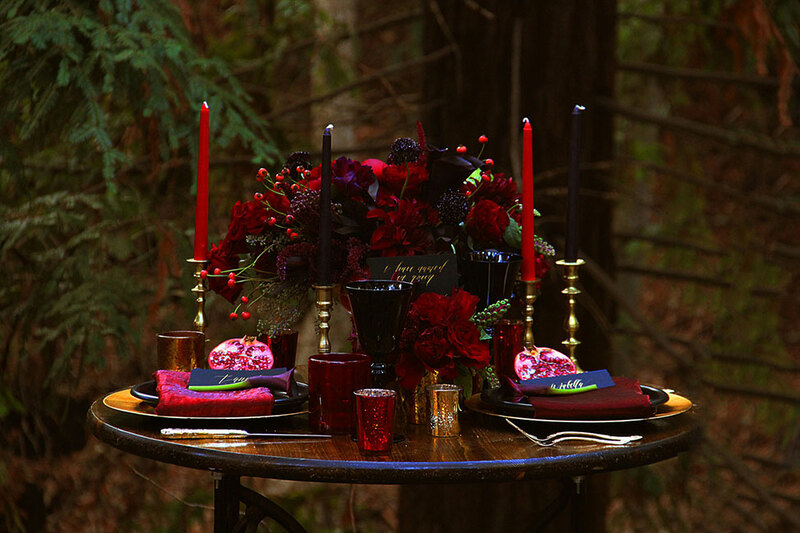 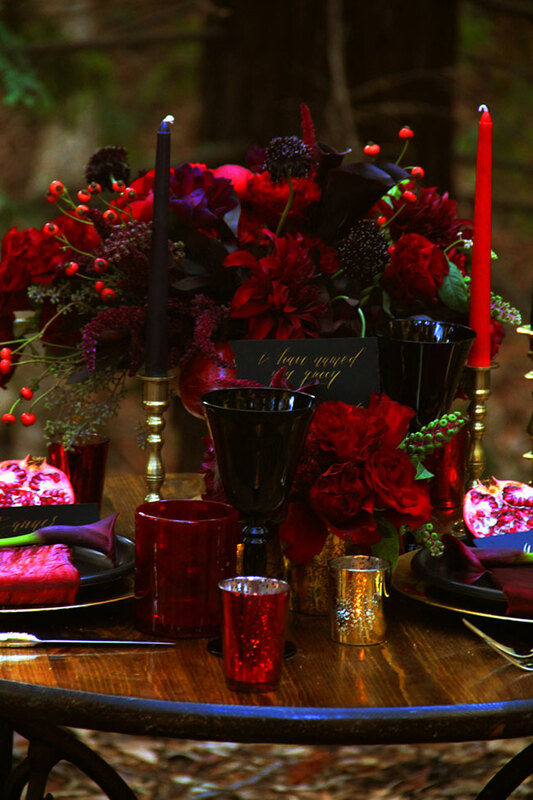 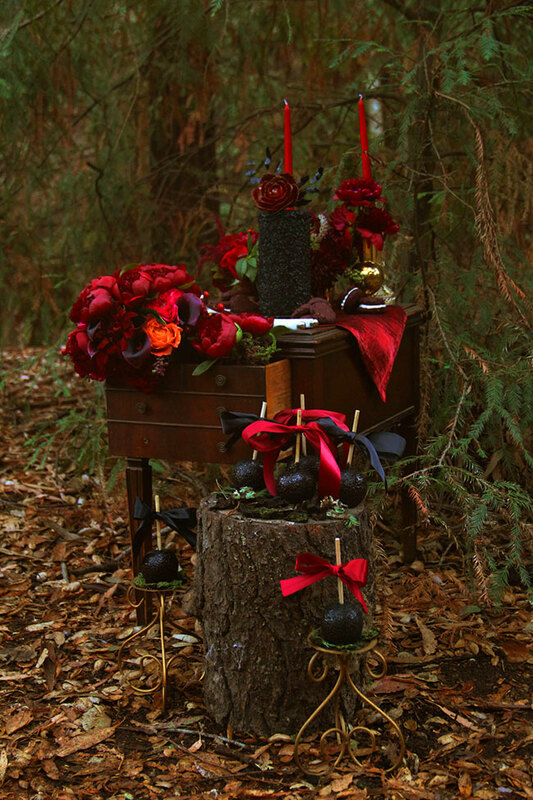 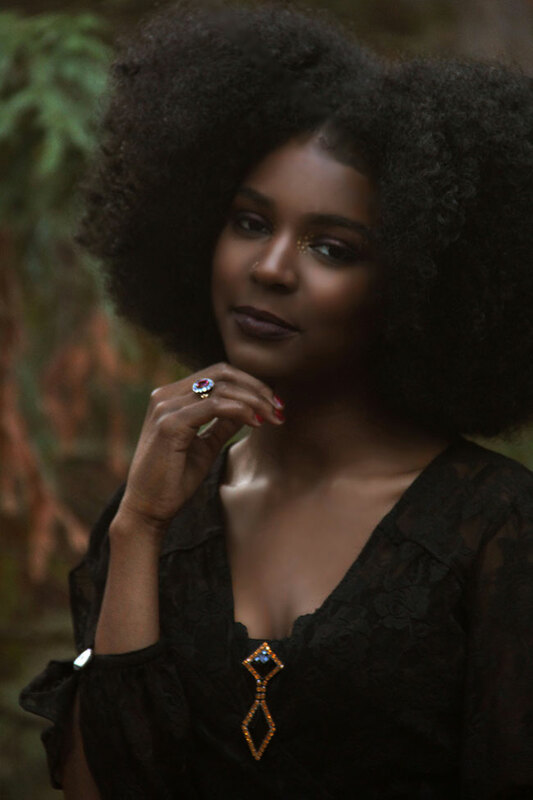 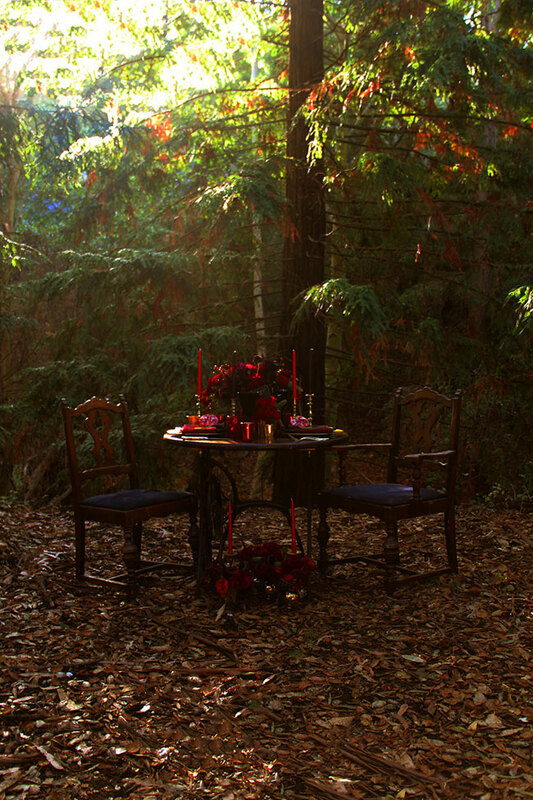 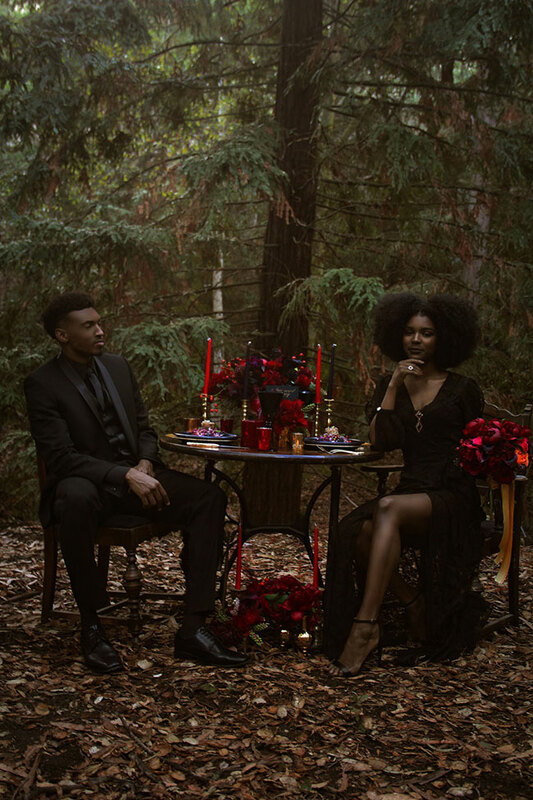 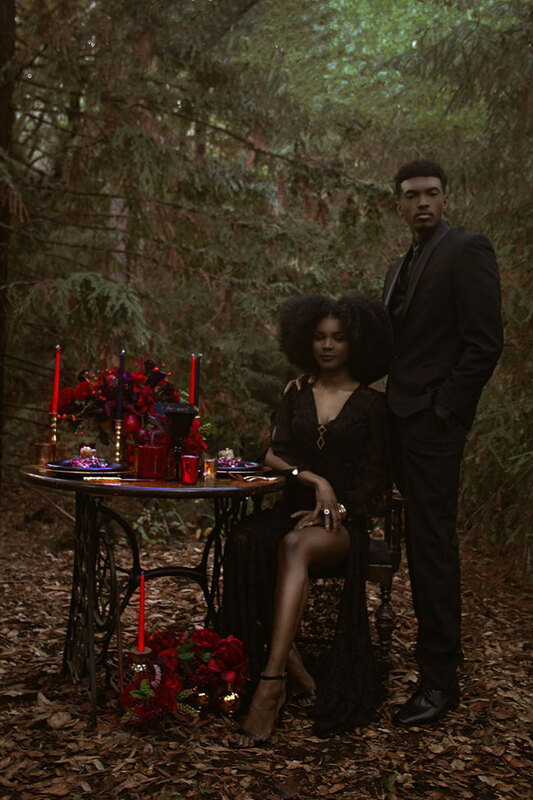 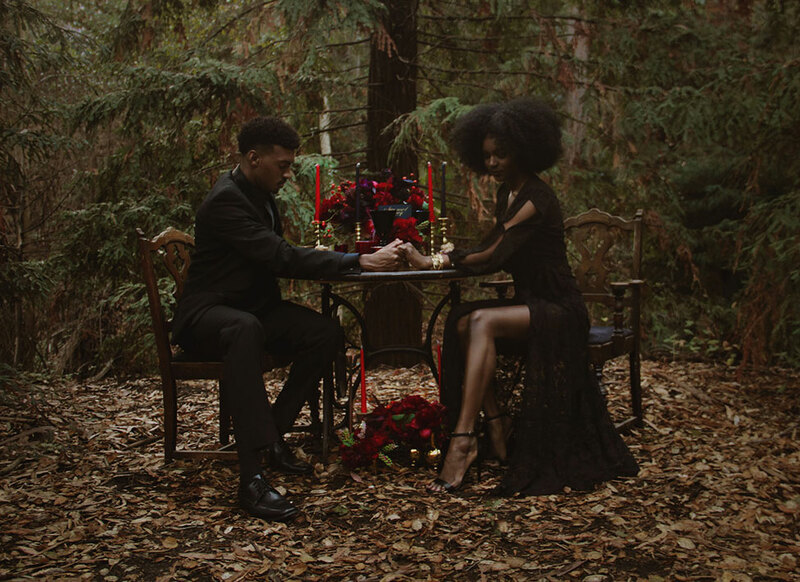 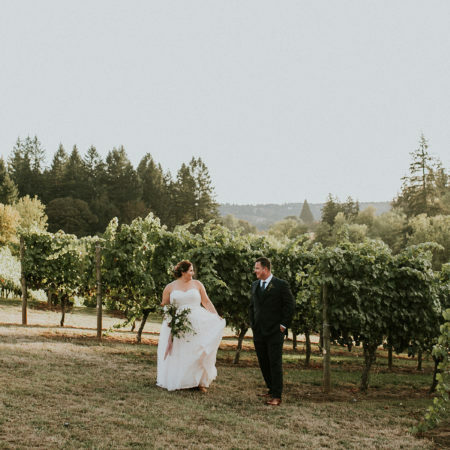 Wedding photographers The Byrd Sisters Films teamed up with Alexis Solano Events to create a gorgeously dark and romantic woodland wedding that will leave your head swooning! 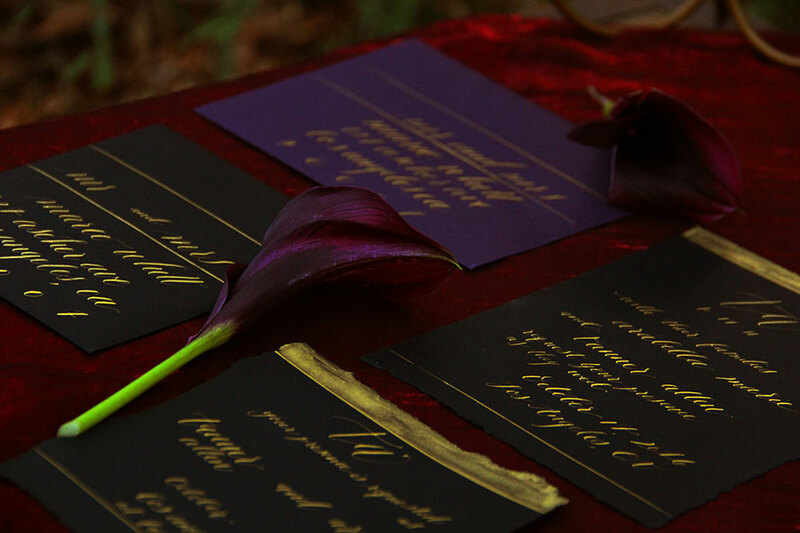 Tucked away into the wooded hills of Malibu Phoenix, like a special little secret, the team of local wedding pros turned an otherwise masculine color palette on its head into a thing of glorious beauty. 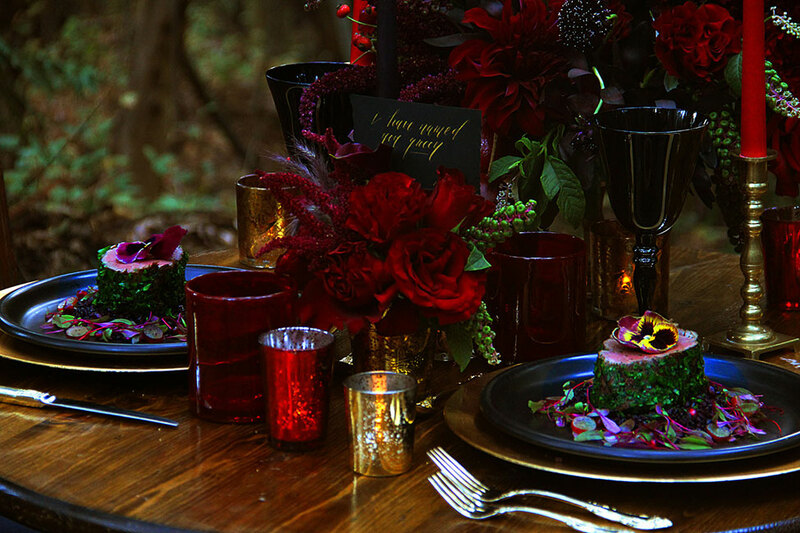 While the sweetheart table, covered in mood blooms accented by a regal place setting is certainly repeat worthy, its all about the attention grabbing desserts for me. 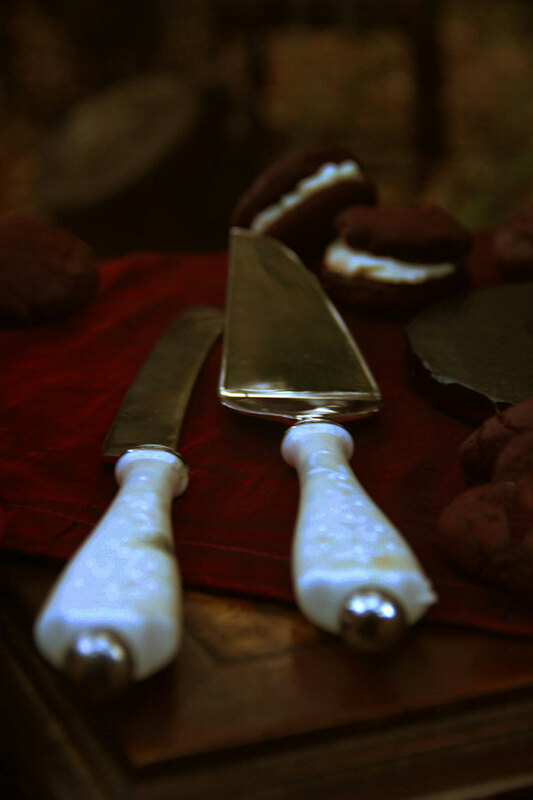 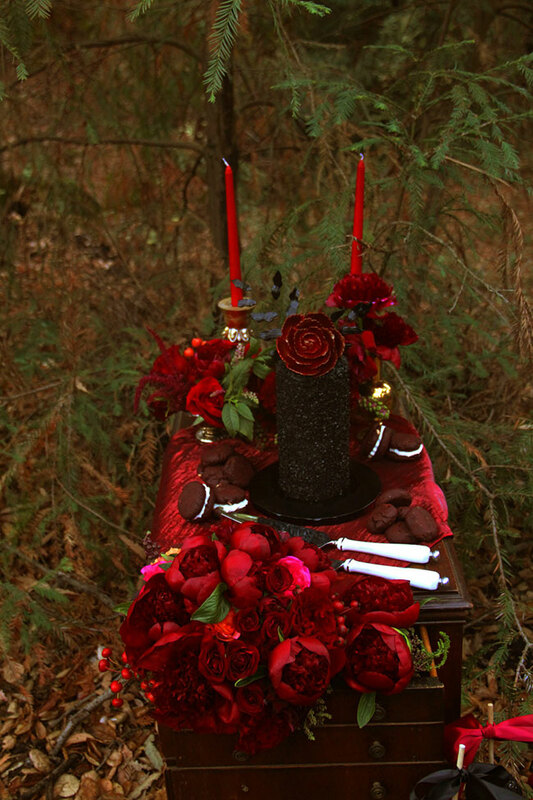 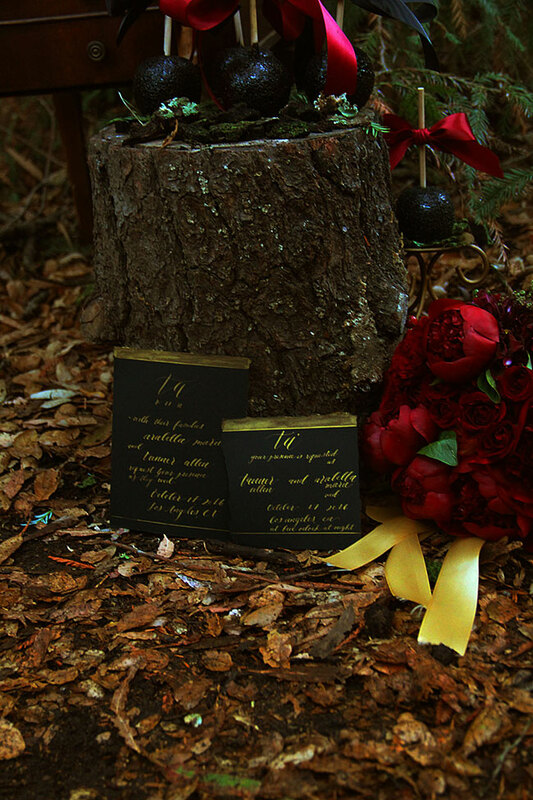 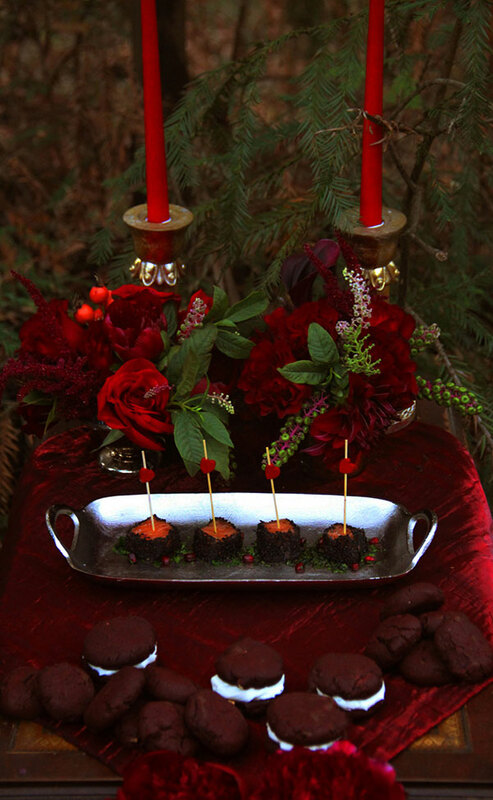 Whats a dark romantic woodland wedding without an incredibly pin worthy black wedding cake?? 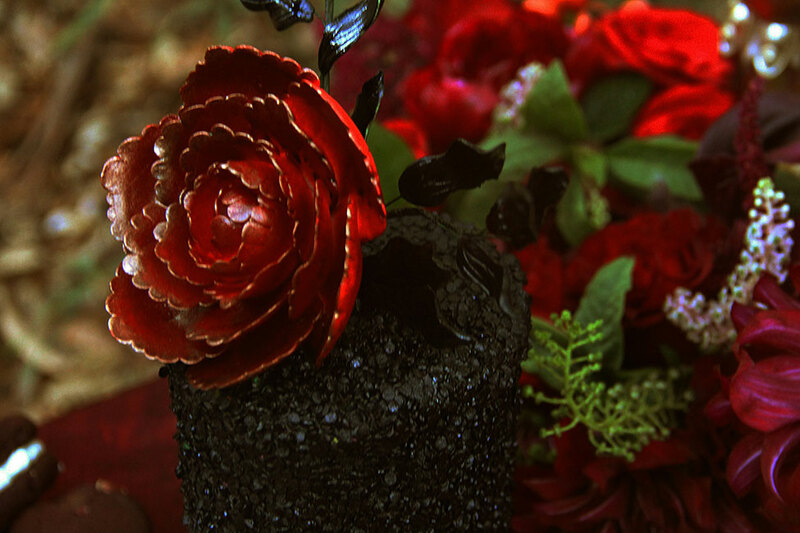 What could one pair with such a beauty, why black ‘candied’ apples of course! 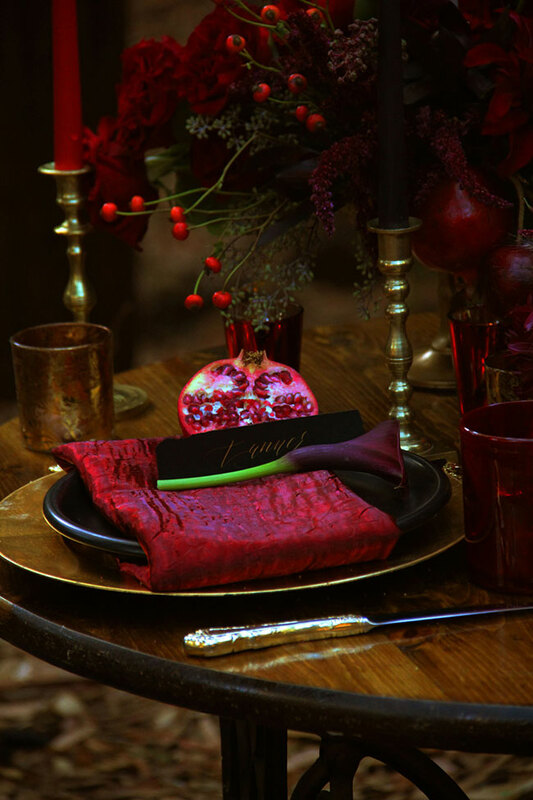 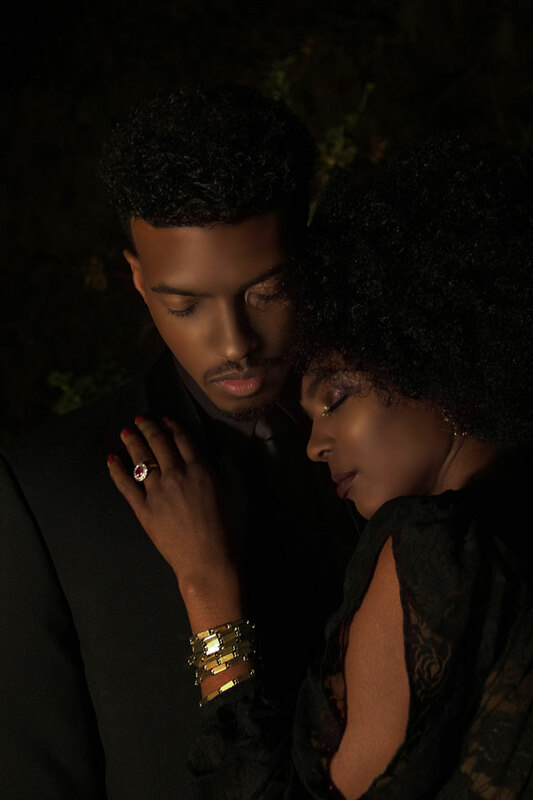 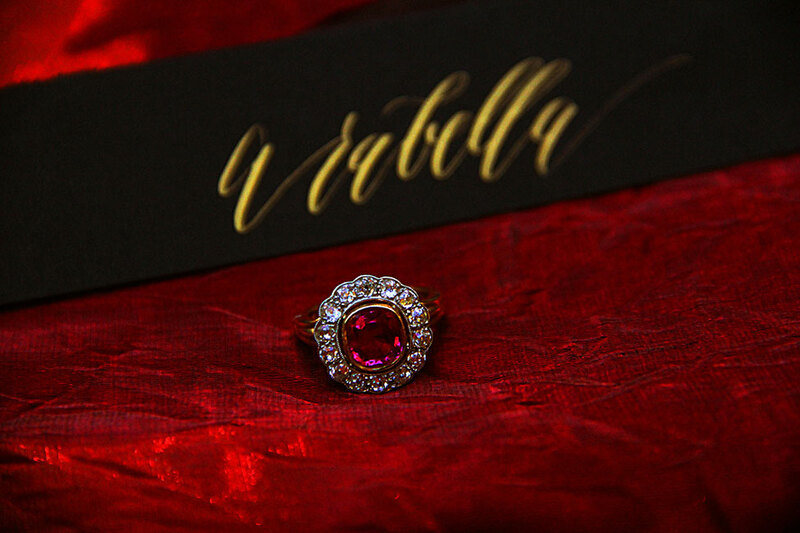 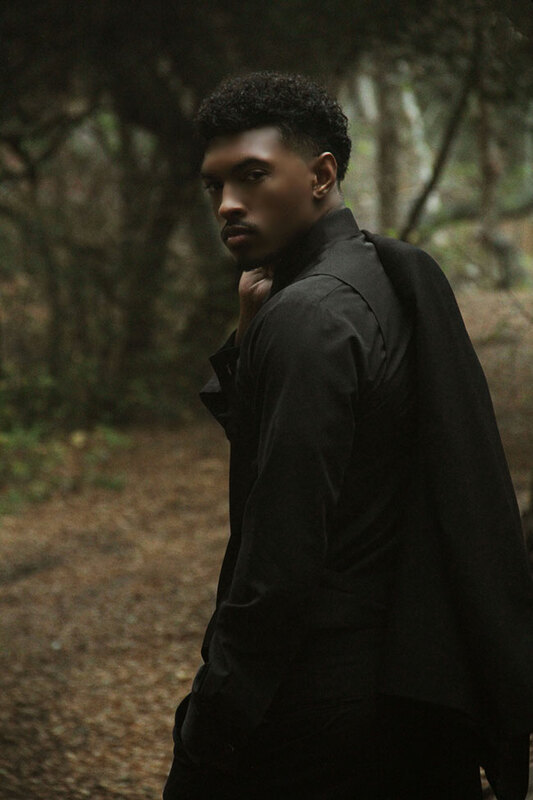 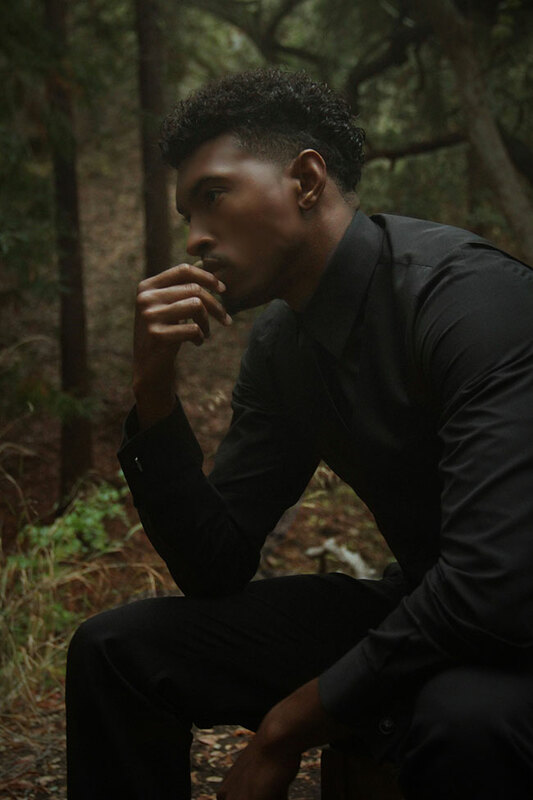 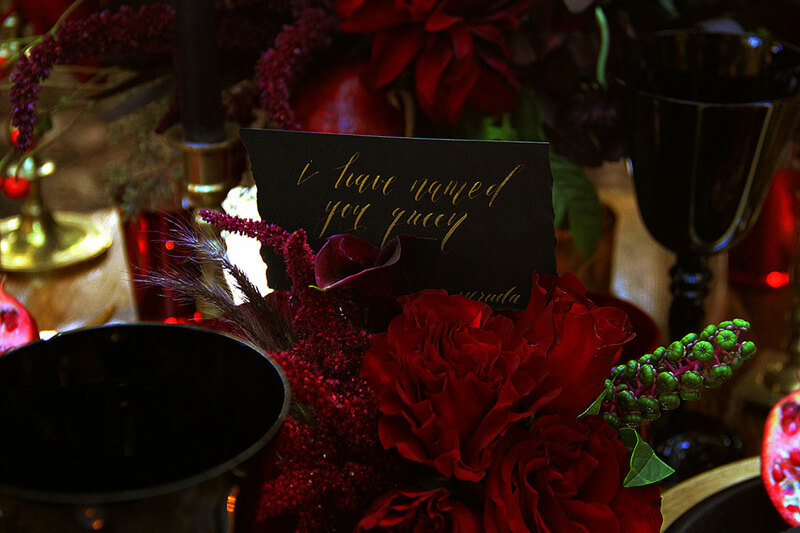 From the lusciously dark photography to the moody chic styling, I dare you not to covet this dark romance. 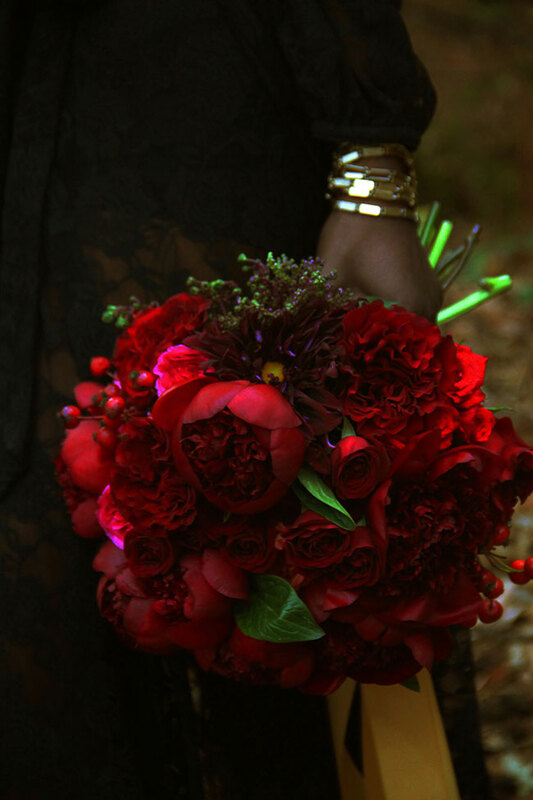 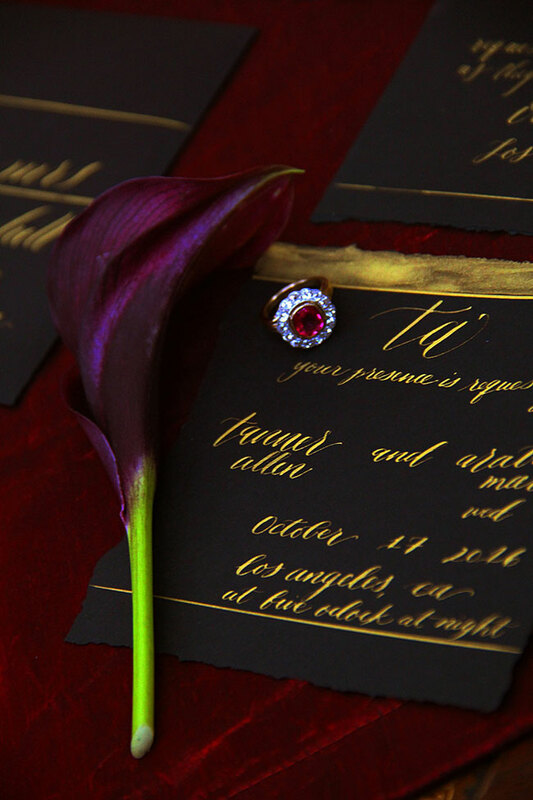 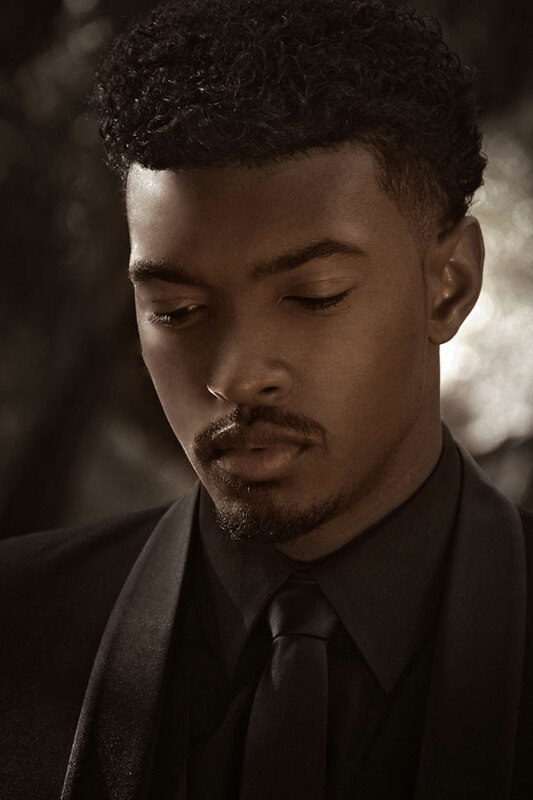 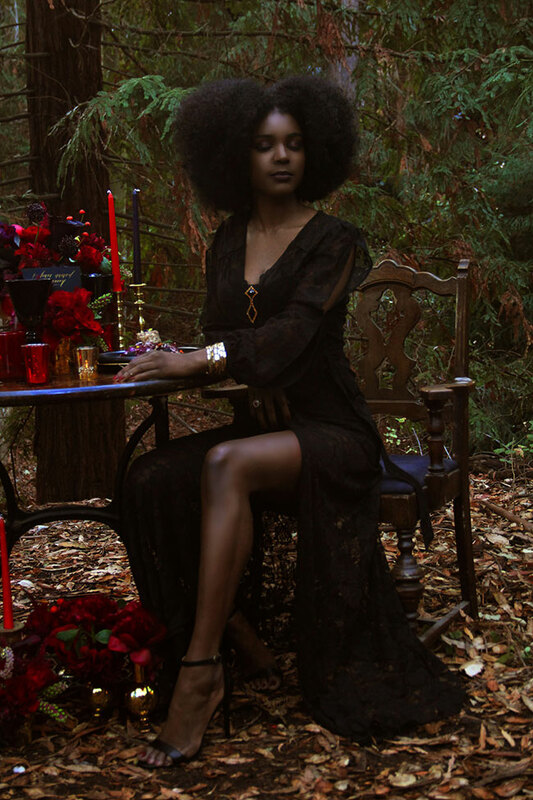 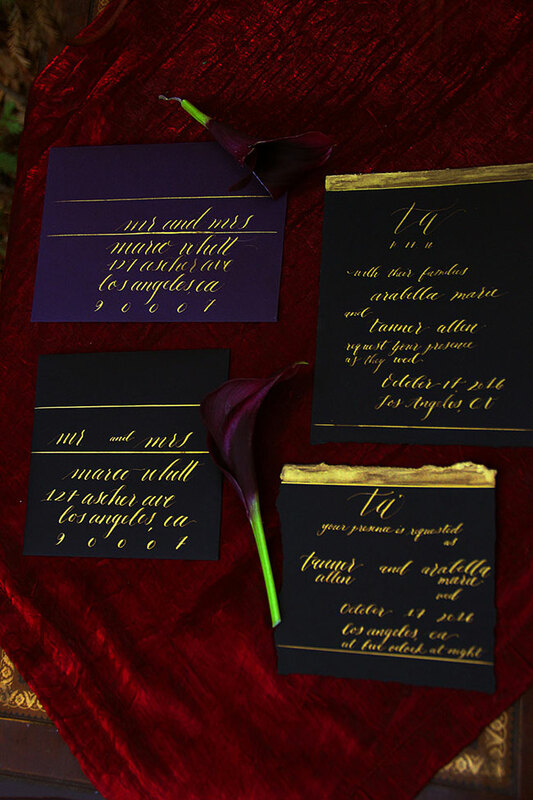 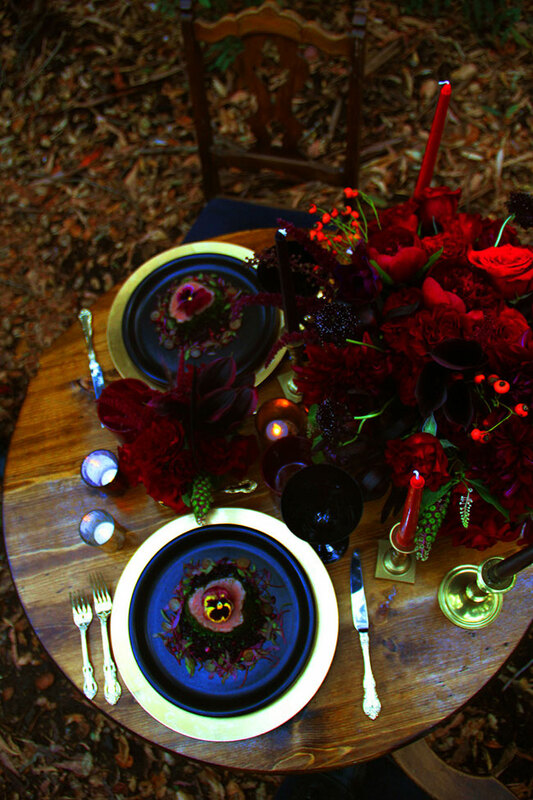 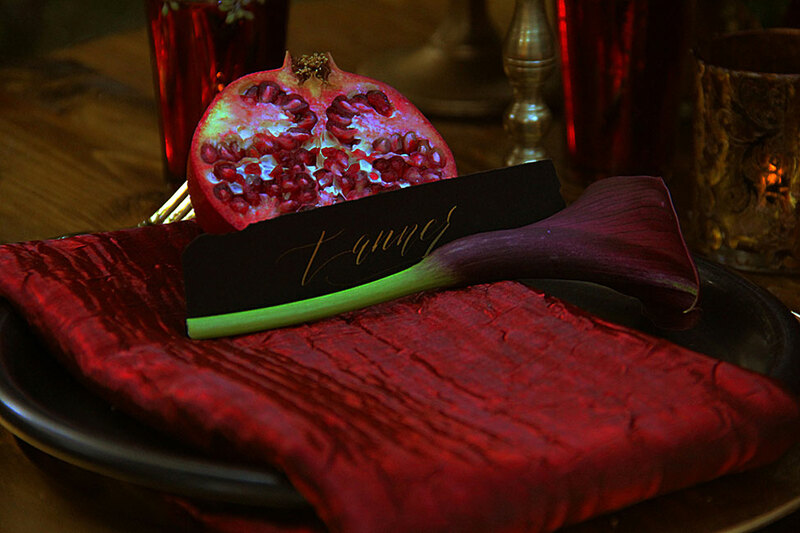 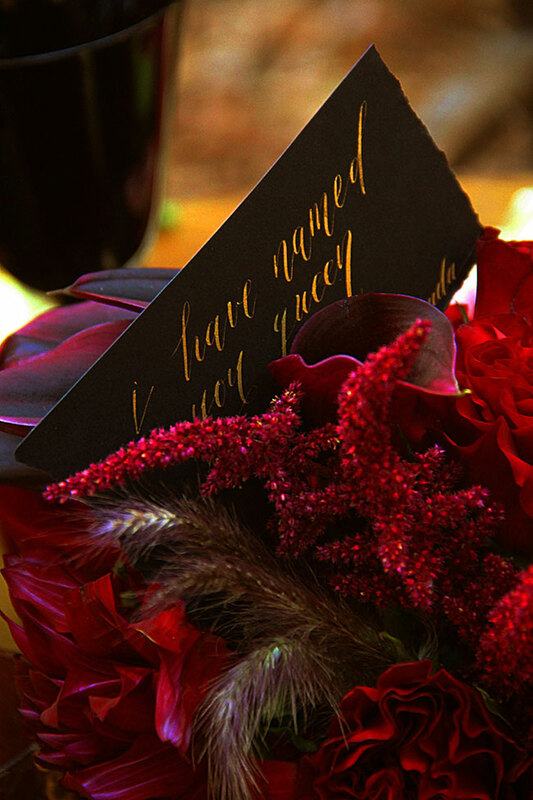 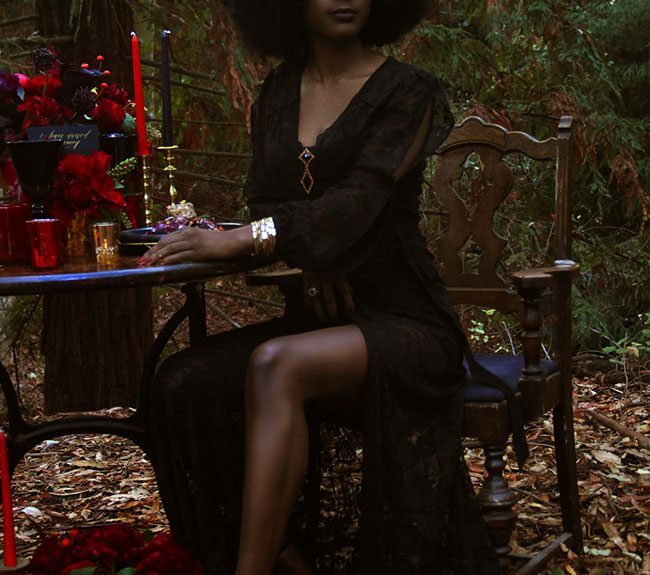 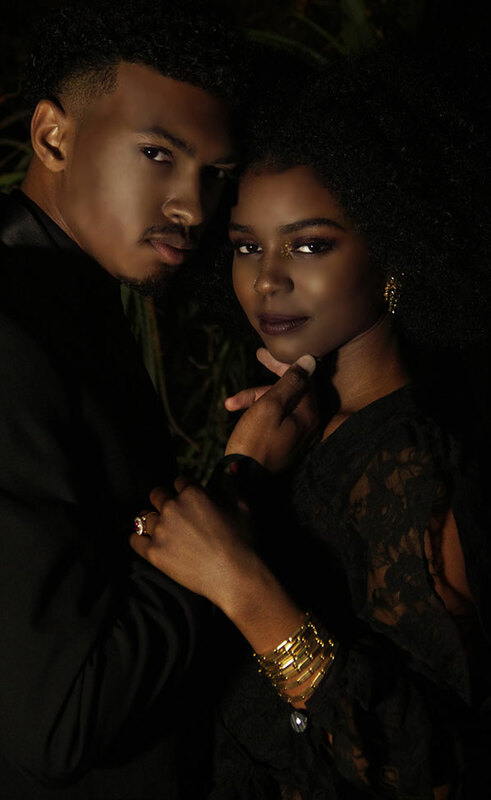 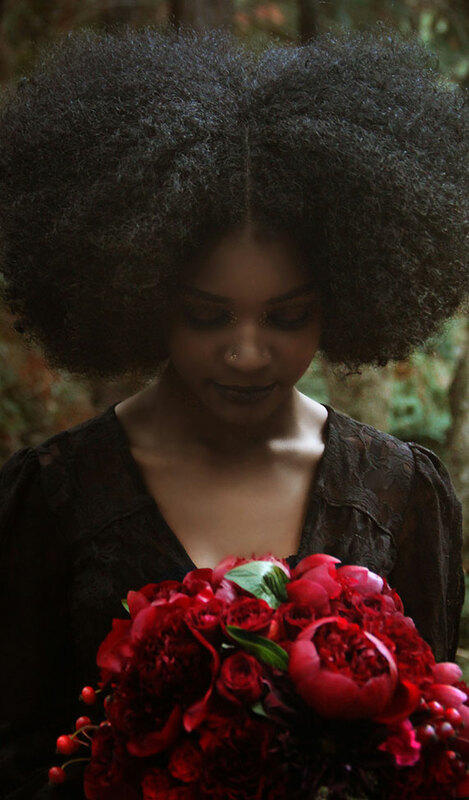 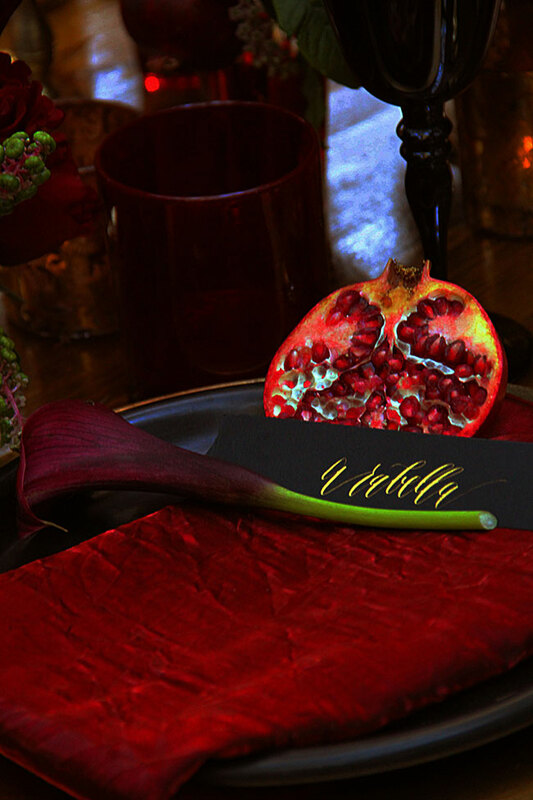 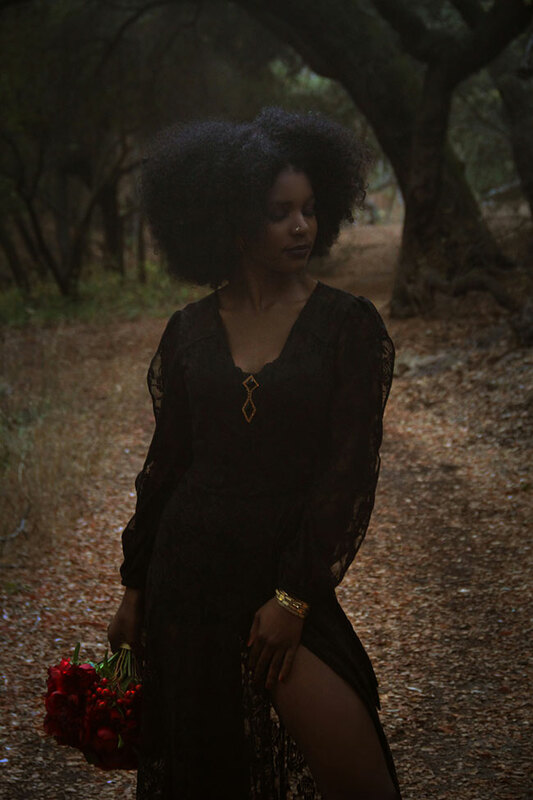 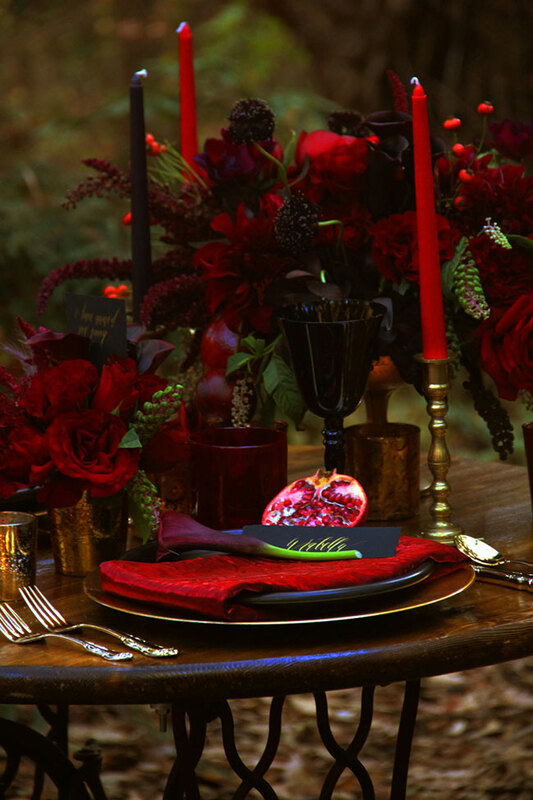 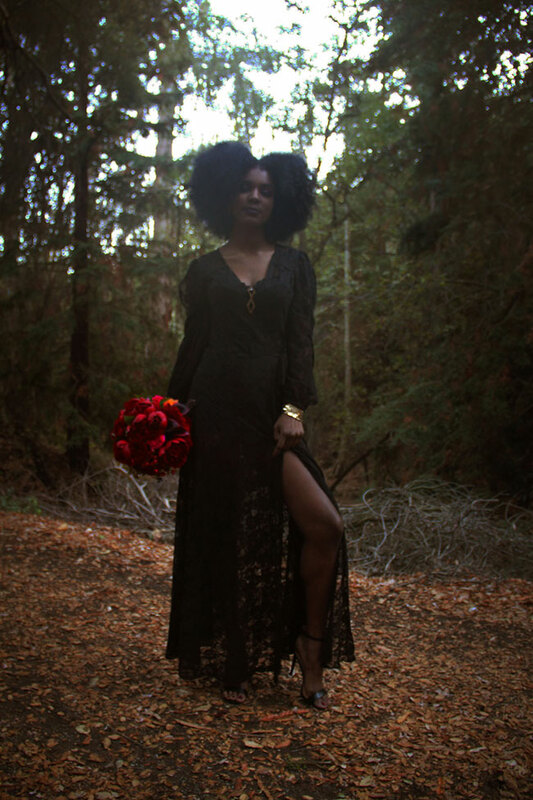 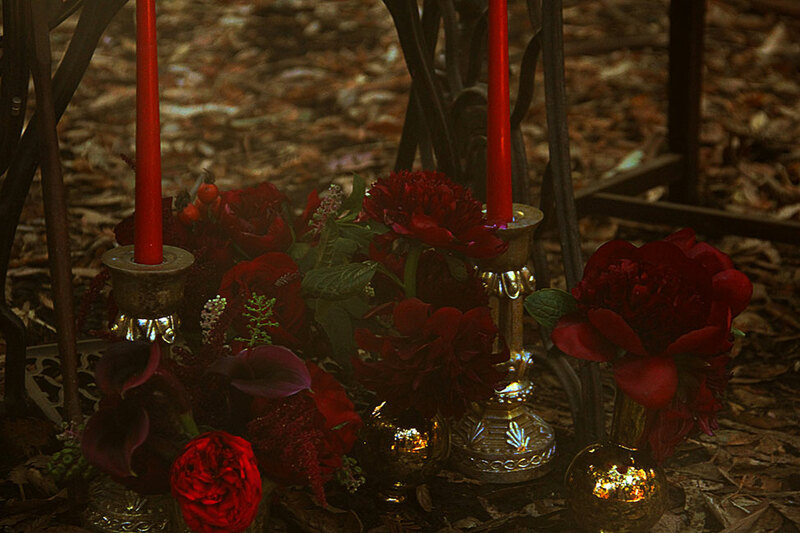 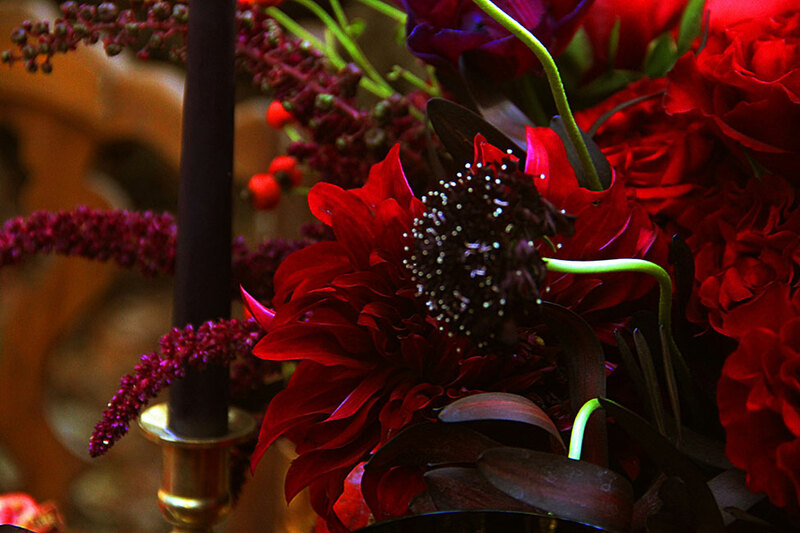 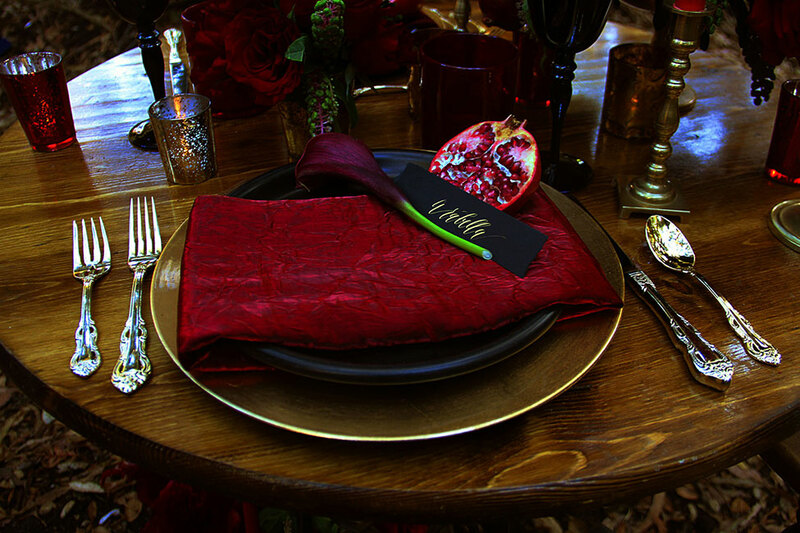 A DARK ROMANTIC WEDDING STYLED SHOOT from THE BYRD SISTERS FILMS on Vimeo.